Red pandas have always been a part of the Lincoln Zoo family, and with the expansion, they will move to a new and improved habitat. Lincoln Children's Zoo is one of the only Zoo's in the country to breed these endangered animals, so this new habitat has been specially designed for rescuing this species from extinction. The new habitat includes log structures for the pandas to play and encourage natural behaviors. The overhead walkway for the red pandas to explore is a feature that is unique to Lincoln Children's Zoo. The entirely new facility was built to create more open space for our pandas and to provide guests with an up-close view of this incredible animal. 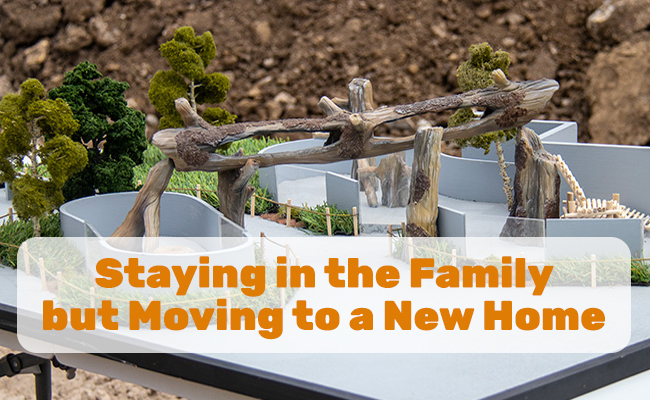 The new space will provide numerous opportunities for family, friends and guests to view the red pandas, from both indoor and outdoor perspectives. The new red panda home will be located just inside the new entrance of the Zoo, so these animals will be the first to welcome you!